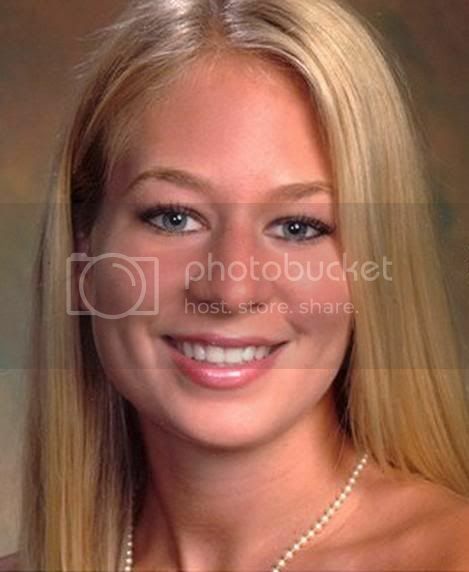 Joran van der Sloot will not speak during the discussion of his appeal. The request was rejected by the Supreme Court in the Peruvian capital Lima. This is his lawyer Maximo Altez Thursday announced to our editors. It is unusual that a convict will speak during the examination of the appeal, but it is not necessarily impossible, says Altez. Joran did according to his counsel took the floor to make that he regretted his act clearly. Now he does not get that opportunity, he will not be present at the session. Altez will advocate on May 29 during the appeal for sentence. He wants Joran penalty is reduced to 15 years in prison. one day Natalee's coming home! 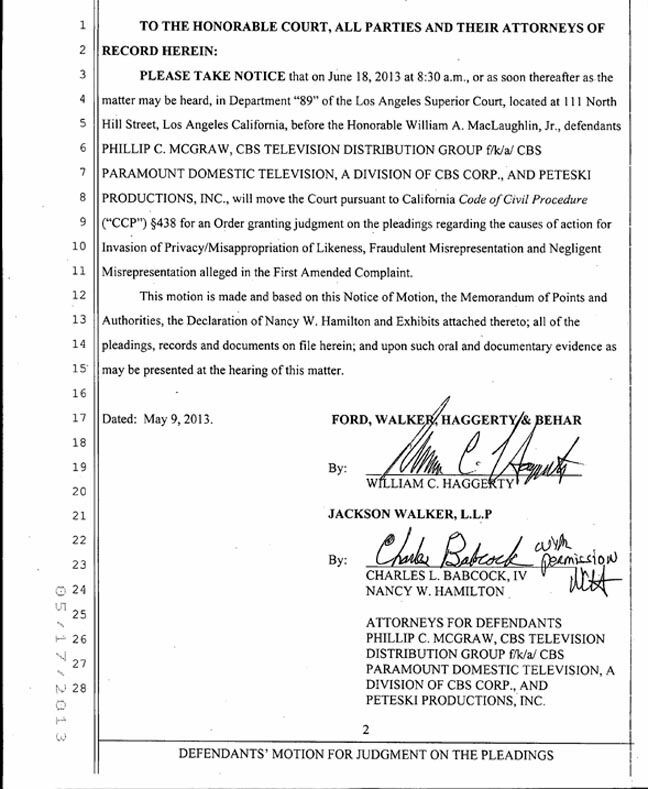 279 page document filed by the Defendants in the Kalpoe vs. Dr. Phil case on 5/15/13. Here is the first page and the conclusion. I just hope it is indeed 2013 this time!! The way I read the conclusion, Dr. Phil's attorneys are also asking for "equity" -- I assume this means they are asking for attorney fees and "damages" for the suit. Hi Wreck - I assume the same. I really haven't had a chance yet to read all 279 pages but when I do and if there's anything else interesting to post about it I will. Thanks Klaas, and thanks to the anonymous monkey that purchases the documents too! This is BIG news!! Where is everyone?? Wreck - I've been super busy at work and honestly haven't had a chance to read through the entire document. Email me if you think there's something in particular I should post. Hopefully tomorrow afternoon/evening I'll get a chance to read it all. I know, I know, I know .......... it is so so convoluted after so many years and about 4 different judges!!!!! This case should have never made it past the first 6 months!! Our legal system is in place to make attorneys money -- very sad really!! The dismissals for the Skeeters Estate were "with prejudice" in other words no come backs for the Kalpoops. I'm here wreck, but I'm waiting for the ruling to get too excited about it. It has gone on this long. WHY? That is what you get when one side milks the system for so many years.................. you get 5 different judges that don't know what happened for the previous 6 years. Don't hit me Klaas ................ but it also California! I don't think this would have happened in Texas! 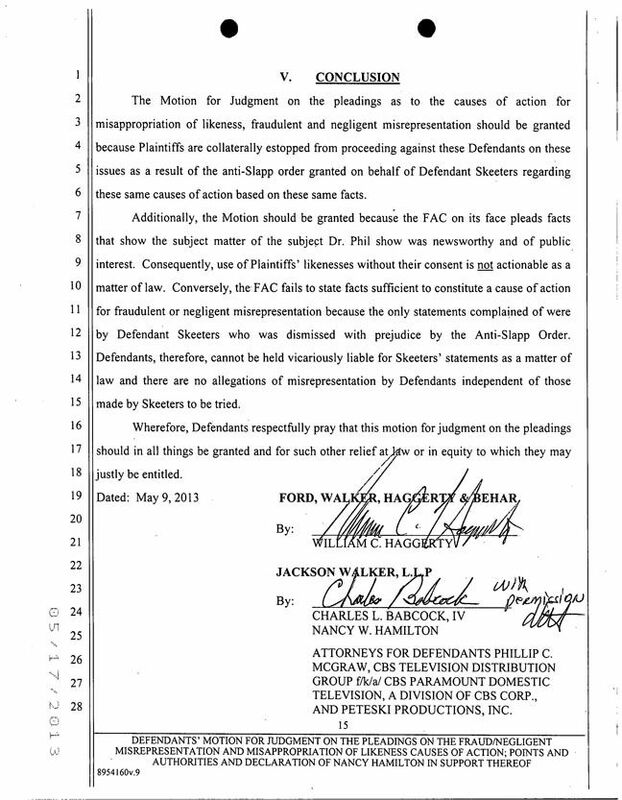 the way I read the document was the attorney's have found another argument to estop the lawsuit from moving forward. courts subject the people to their system and allow attorney's to make a lot of money. Each and every time a hearing is continued - bank for the attorney's. It's all about money. waiting to hear from kalpoes attorney's response or non-response.